Meeting in Tampa, FL for their fourth Global Sports Shootout game, the No. 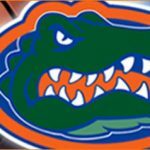 9/10 Florida Gators (3-1) took down the Wright State Raiders (2-2) 78-65 behind a season-high 22 points from guards junior Kenny Boynton and freshman Brad Beal. Boynton’s hot shooting from the start of season continued Monday as he made 7-of-11 attempts from the field and 6-of-9 shots from downtown. Beal, who also grabbed five rebounds, was 6-for-11 from the floor but just 1-for-5 from beyond the arc. [EXPAND Click to expand and read the remainder of the Florida-Wright State game story. ]Florida maintained a double-digit lead on Wright State through most of the first half and increased their advantage to 15 points just before the break. Gators sophomore center Patric Young was poked in his right eye while going up for a rebound just before the break and sat out for the first nine minutes of the second half while holding ice to his head on the bench. By the time he returned, Florida led 58-43 following an 8-2 run including a three-pointer and dunk by Boynton within a minute of each other. 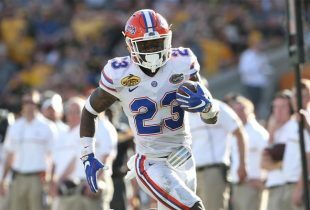 The Gators held a 16-point advantage twice in the second half but never expanded their lead, allowing the Raiders to continuously cut down their deficit. A deep three by Wright State G Julius Mays concluded an 8-2 run that reduced Florida’s lead to nine points with just five minutes to play, and WSU also found itself down just 10 points with 2:23 left in the game. However, the Gators kept up with the Raiders shot-for-shot down the stretch and held on for the 13-point victory. Florida outrebounded Wright State 35-23 and dished 11 more assists (17-6) but turned the ball over four more times (15-11). The Gators shot 45 percent from the field and 44 percent from beyond the arc but continued to struggle at the charity stripe, hitting just 20-of-31 shots (64 percent). Mays led the Raiders with 21 points on 8-of-10 shooting (3-for-4 from downtown). UF redshirt junior G Mike Rosario scored 11 points while hitting on 4-of-5 shots and added seven boards. Five Florida players notched five or more rebounds on the evening including senior point guard Erving Walker (nine points, seven assists, five turnovers) and junior forward Erik Murphy (seven points, four turnovers). The Gators return home to Gainesville, FL to host Jacksonville on Friday. The game will air live at 7 p.m. on Sun Sports (check your local listings). Wright St played very well, but we handled it. We need to wear protective glasses the next time we play them. Defensively we can improve but not bad. I like our depth. Not sure putting up so many threes is a good thing, but time will tell. Beal is going to be something special. Drat! I forgot the game was in St. Pete. Good game…. they’re still a work in progress. I didn’t get to watch the game but it is a good sign that we can win a game where Young gets limited minutes. Wow – raw young talent and mature Sr leadership. I like where this team can go this season if we can avoid the injury bug.